First off the bat is the Ver. 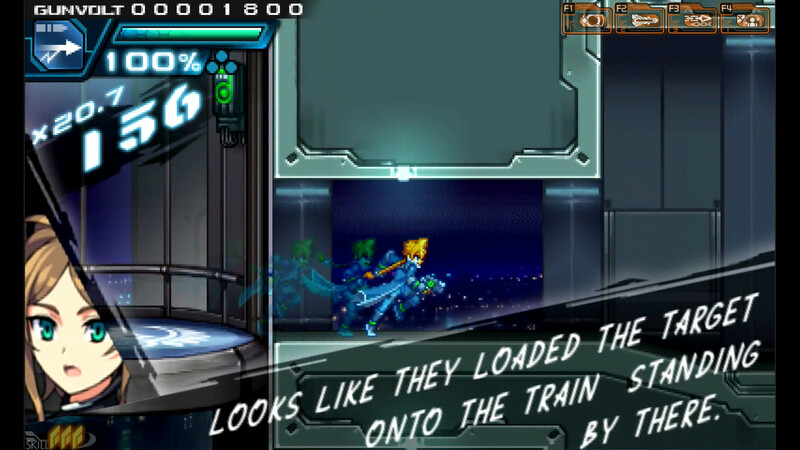 1.3 patch for the Nintendo 3DS version of Azure Striker Gunvolt 1 that adds the long-awaited Japanese Voice Mode! What is Japanese Voice Mode you ask? To finish up this day of updates, we have an update to the Steam version of Gal*Gun Double Peace, that in addition to a few minor bug fixes, introduces that item along with many other goodies! That’s right, the infamous Gal*Gun Double Peace DLC will now be available to our Steam users, and we are kicking things off with the first wave of DLC that includes the legendary Pheromone Z (item that makes Houdai’s zoom sight see through the characters’ clothes), Angel’s Cutting Board (item that makes the characters’ chests smaller), and Demon’s Meat Buns (item that makes the characters’ chest bigger). There you have it! I hope you guys enjoy these updates to two of our beloved games!